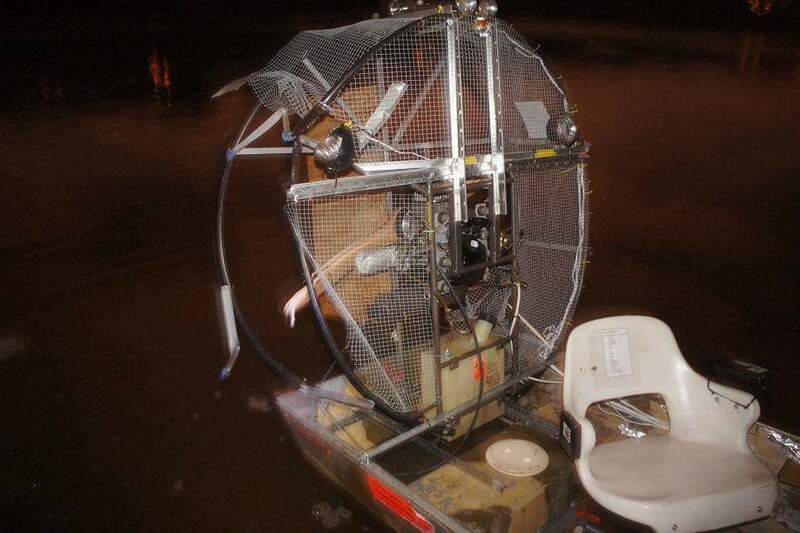 The mini airboat recently suffered a temporary setback, resulting from a high-speed collision on the safety cage. 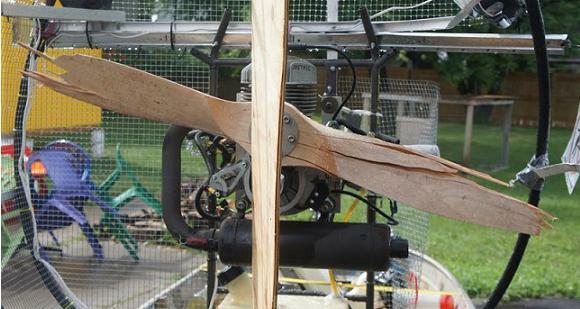 The plastic safety cage I had built around the engine was pushed into the spinning propeller, which ripped through the hardware cloth and aluminum braces. The propeller itself shattered from the impact. 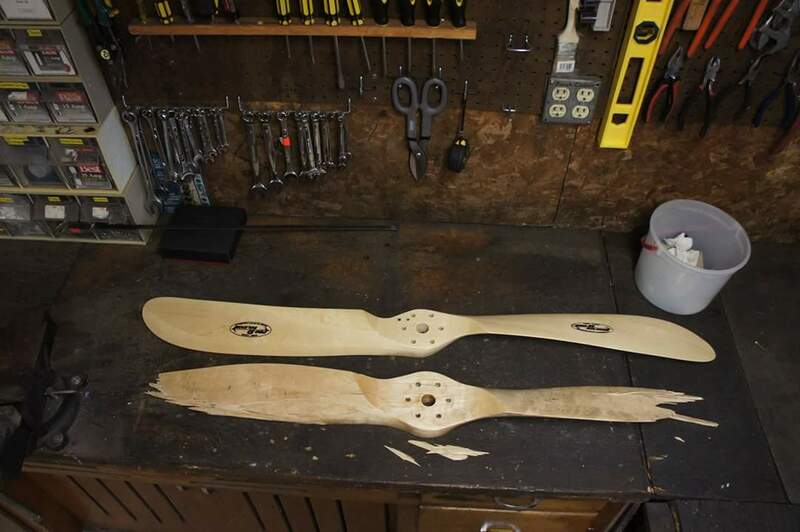 A word of advice, DONT BREAK YOUR PROP! These things are stupidly expensive. I ended up paying more than twice what the hull cost for a new propeller! 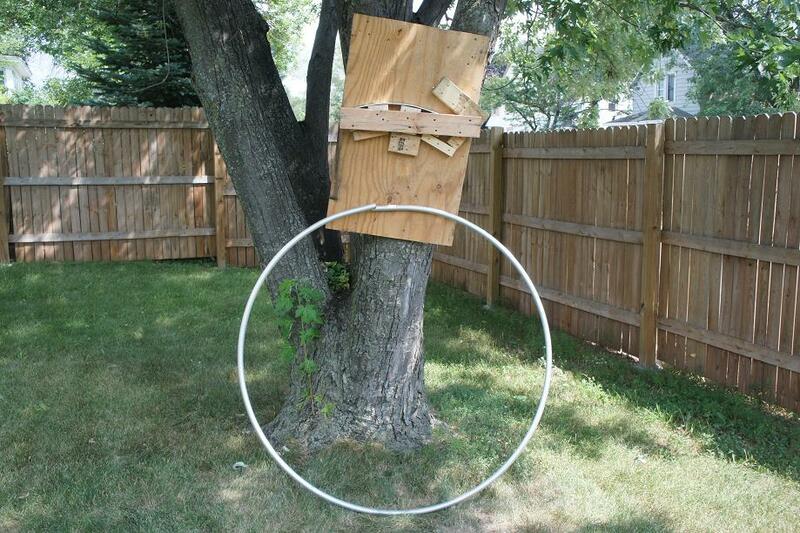 I decided (with some coaxing) that the plastic hoops weren’t strong enough, and that I should go with metal. After acquiring some aluminum tubing of sufficient length to make a suitable-diameter hoop, I was then faced with the problem of bending it. I considered multiple options including hand-bending with sand, heating it, buying a conduit bender, and renting a roller bender, but couldn’t come up with a reasonable-cost way of doing it without kinking. Then I finally stumbled across this wonderful website, which explained how to make bending jigs. Below is my basic jig, made by tracing out a line of slightly smaller diameter than my desired hoop (because the bent metal wants to spring out larger). 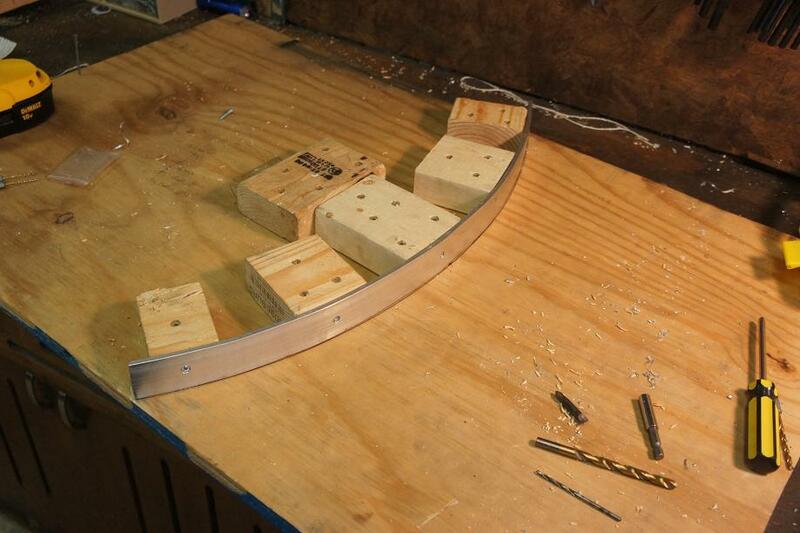 I then screwed down blocks aligned with the curve, and bent a piece of flat stock to conform to the arc. The last steps were a stop to hold the tube against the curve, and a cross brace over the blocks to help resist the force on the tube. My pipe sections were so long that I could not find space inside the garage to secure the jig AND move around it during the bending process. 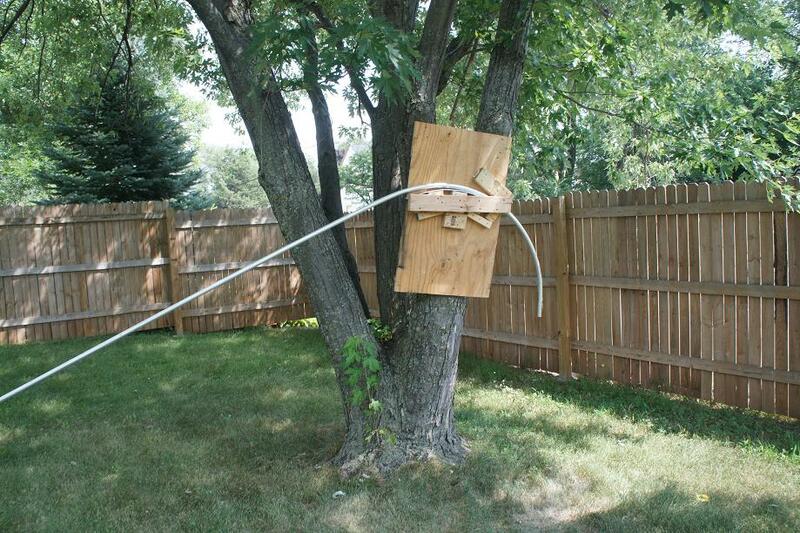 I solved this by securing the jig vertically to a tree, and pulling the tubing down around the curve a little at a time. Eventually, I had my aluminum hoops! I made two of the same diameter, for the front and back of the safety cage. 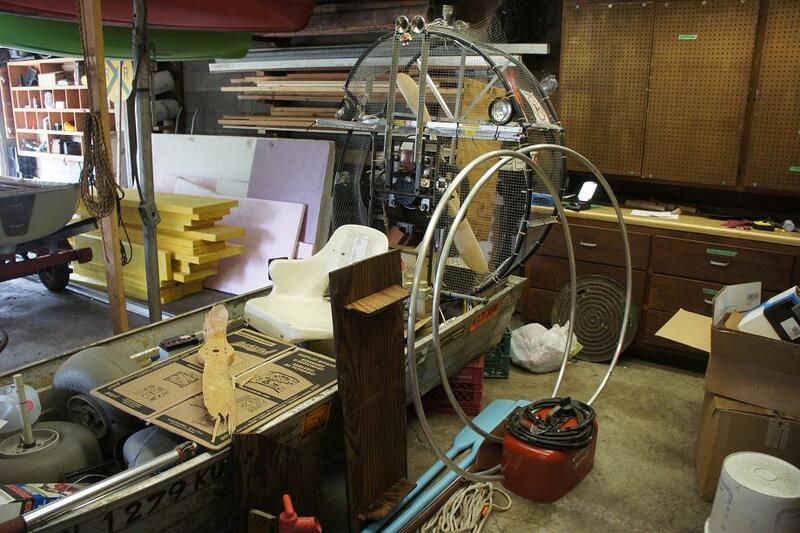 Below are the new hoops sitting next to the airboat, prior to removing the old plastic hoops. As a side note there are 3 other boats visible in this photo, with oars and gas tank for a 4th, two more are off-camera, and I’ve since acquired an 8th small boat (not counting barrel rafts or inflatables). I may have a problem. This entry was posted on Saturday, January 3rd, 2015 at 10:21 pm and is filed under Boatbuilding, Projects. You can follow any responses to this entry through the RSS 2.0 feed. You can leave a response, or trackback from your own site. How long did it take u to complete this project? Greg and I do enjoy your postings.